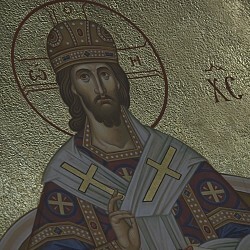 His Eminence Kyrill Archbishop of San Francisco and Western America presided over the Divine Liturgy. Concelebrating with him where the two auxiliary Bishops of our Diocese – His Grace Theodosy Bishop of Seattle and His Grace Irenei Bishop of Sacramento – and priests and deacons from our diocese and the Moscow Patriarchate. The Gymnasia of Saints Cyril and Methodious had spent the entire weekend there during a school “living history” outing at which time the pupils of the school were attired in period outfits and simulated life at the fort in the 18th Century. 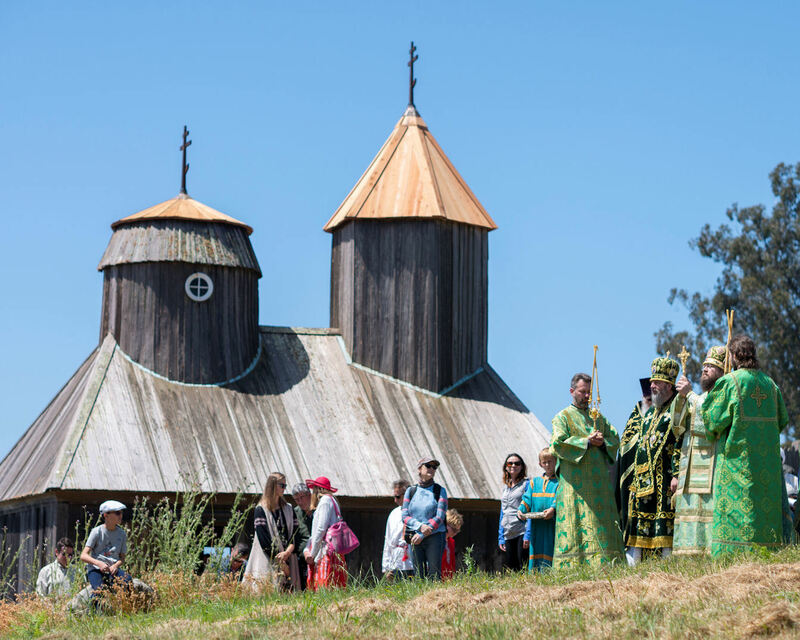 After celebrating the Divine Liturgy, Archbishop Kyrill invited the all the pilgrims to the Kazan Church on the Russian River in Guerneville, CA, for an outdoor lunch in the church yard.